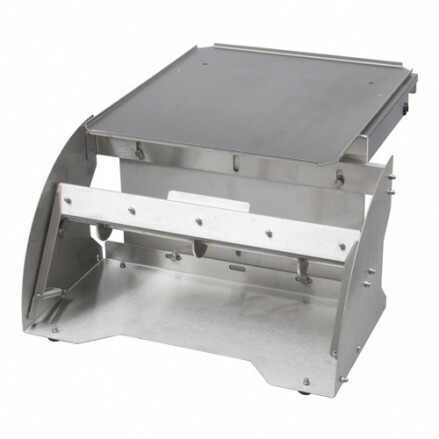 Our Mistral Heat sealer is the standard bearer in the industry. 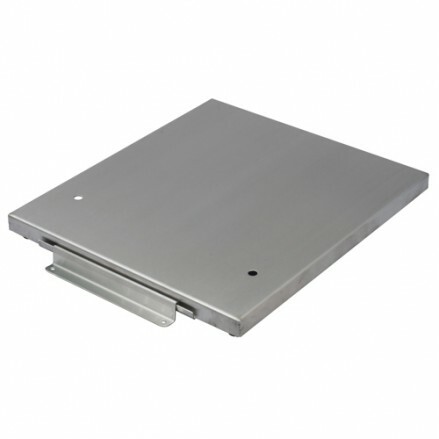 It is an all stainless steel paper sealing system suitable for use with all paper types including our Alpamer fish papers. The heat sealing element is insulated from the outer frame, keeping the handle cool, preventing risk of burns. This unit is watertight so just at home in a butchers, fishmongers, delicatessen or farmshop. 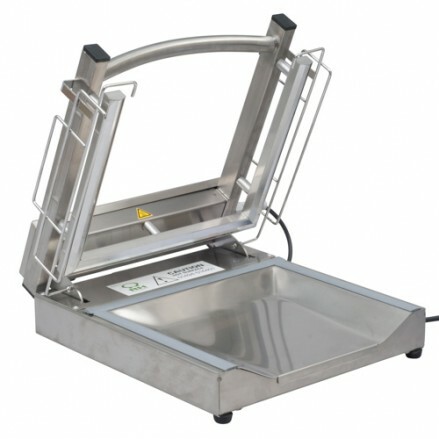 Our Thermo380 bag sealer is a single action sealer suitable for all tube papers or bag formats. Both sealers provide a hermetically sealed bag assuring watertightness. Please visit our Fish, Meat and Deli papers section for your consumables. 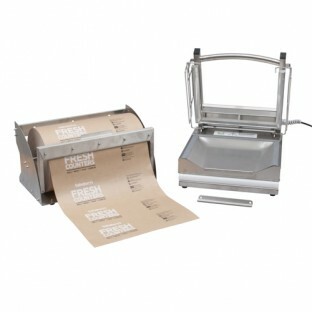 The Mistral paper wrapping system is fully stainless steel with a 350mm sealing .. 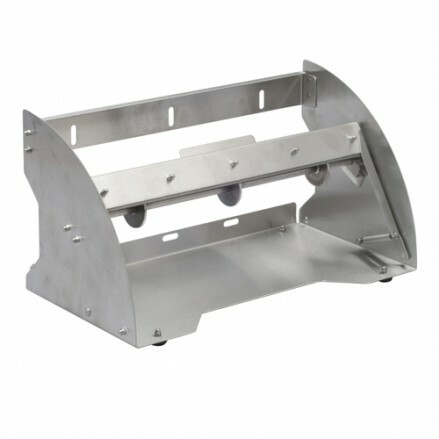 Roll dispenser with cutter blade Stainless Steel Fits up to 350mm wide rolls..
Back Counter fixing plate with braket for Mistral sealing machine Stainles..
Front counter fixing kit for Mistral 352 Stainless SteelDispenser not ..